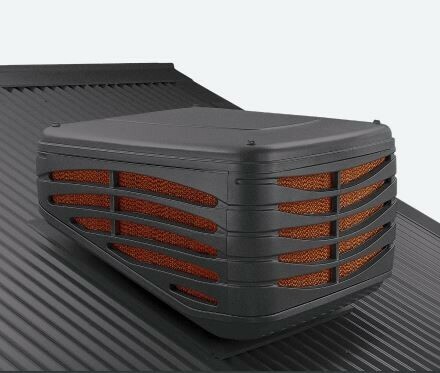 Brivis Evaporative Cooling comprises a central cooling unit situated on top of your roof. This unit draws fresh air through moistened pads, cooling and filtering the air before sending it into your rooms through a series of outlets throughout your home. 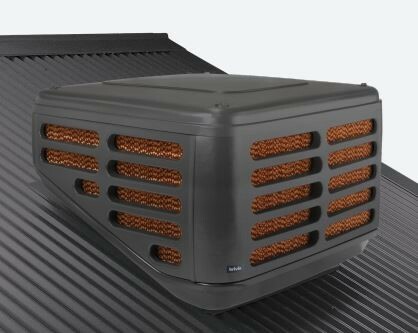 Brivis evaporative cooling systems ventilate 100% fresh air, letting you enjoy fresher and completely natural air. The air inside your home is not re-circulated, which makes it not only a healthy way to cool your home, but also provides an allergy-free environment. Evaporative cooling is based on a totally natural process of air cooled by water, which means it will not dry out the air, or irritate your skin, throat or eyes. Compared to refrigerated air conditioning, evaporative cooling is more cost-effective. The system uses less power per hour, which translates to better savings on utility costs. It is up to 50% cheaper to install than comparable capacity refrigerated systems, and about seven times cheaper to run. 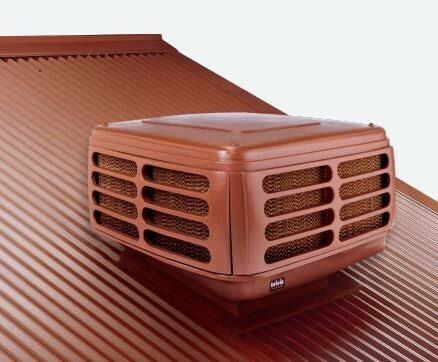 Evaporative coolers use less electricity than other forms of cooling. This in turn makes it kinder to our environment, as its greenhouse gas contribution is a lot lower. As hot air is pushed out of the home, windows and doors can be left open when using evaporative cooling. Now you are free to enjoy summer in alfresco style while still keeping your home cool! Brivis has been designing and manufacturing climate systems in Australia for over 50 years. 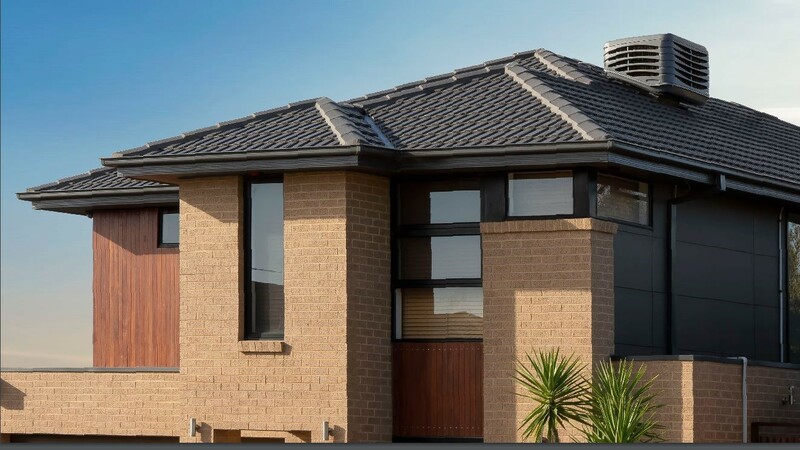 A market leader in heating and cooling, Brivis employs hundreds of Aussies who produce world class work out of their manufacturing facility in Victoria, Australia. Brivis understands that heating and cooling systems are a long term investment, and they offer a 5 year parts and labour warranty – including a 10 year structural warranty. 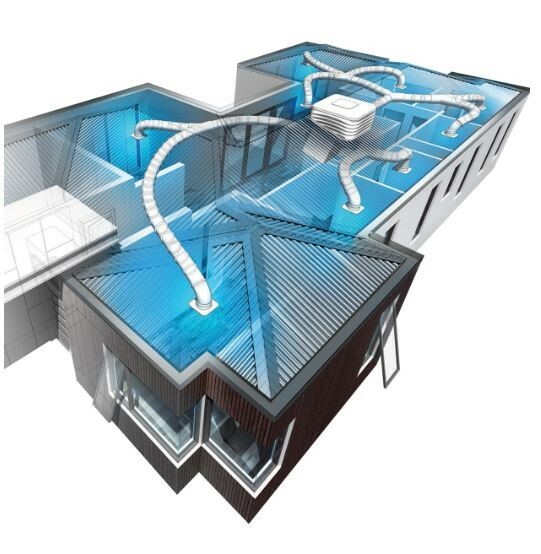 The Brivis range of Evaporative Cooling systems are suitable for replacement of old units, major renovations or complete new builds, and are designed to suit homes of all shapes and sizes. Reliable and discreet, the Brivis Contour is designed to deliver volumes of cold air without the large profile of traditional evaporative coolers. With features such as the Pre-Wet cycle and AquaSave, the Contour is one of the most advanced evaporative coolers in its class. The Brivis Promina uses advanced technologies to ensure quality and reliability. The Auto Refresh water management system automatically flushes the entire tank and refills it with clean water when needed. When cooling is no longer required, the FreshStart operation ensures there is no stagnant water or sediment sitting in the cooler before it starts up again. The Brivis Advance is a stylish cooler developed with greater cooling pad surface area to meet large airflow requirements. With a sloping trough, it keeps the water constantly circulating through the system. The Advance also has a variable speed fan, so you can choose to run the cooler slowly when all you need is a gentle breeze. 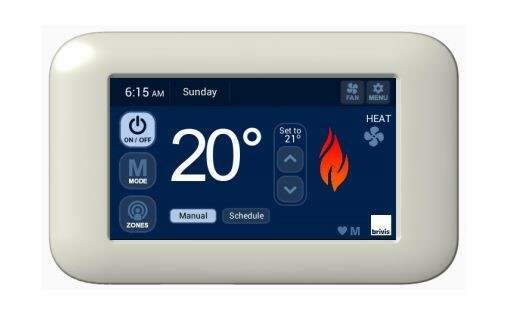 The Brivis Touch is the latest innovation in climate control. This high-resolution colour touchscreen controller packs a punch of features and functionality, but makes it simple and easy to use. The Brivis Networker is designed with an easy-to-use rotary dial, an LCD screen and is backlit using Electro-Luminescence (EL) technology. 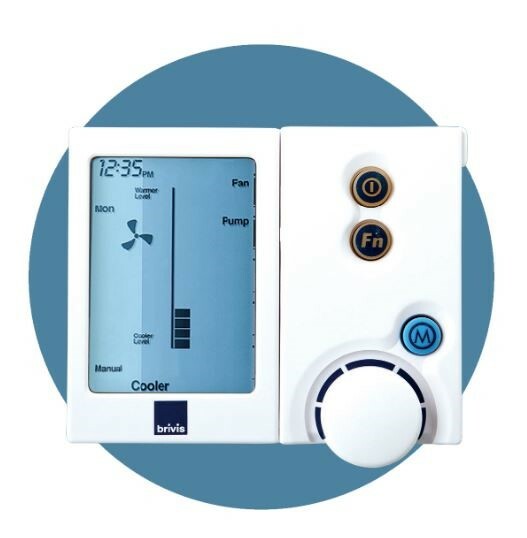 In auto mode, the Networker allows you to preset temperatures and times to turn the system on and off. It will also adjust the fan speed and cooling power as required to achieve ultimate comfort. 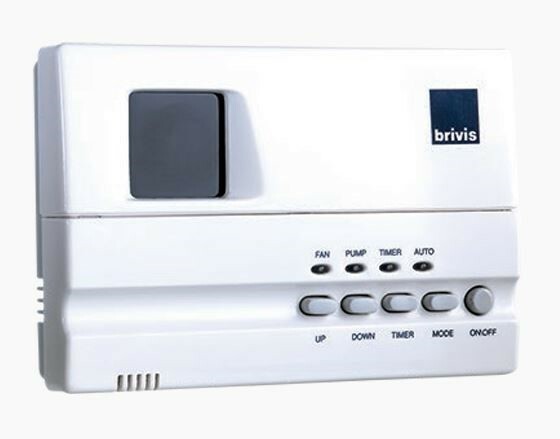 The Brivis Programmable Controller can operate in either auto or manual mode. In auto mode, it can be pre-set to a desired comfort level. 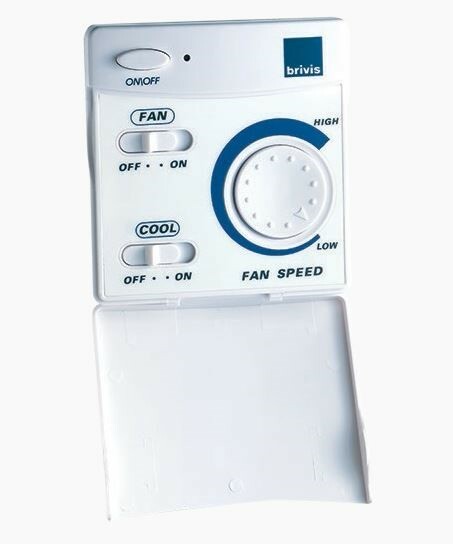 The Brivis Manual Controller allows you to turn on the fan, pump or both, and to change the fan speed.